Based on the fantastical illustrated magazine HEAVY METAL, producer IVAN REITMAN enlists the help of some of Hollywood's animation masters to create the otherworldly tale of a glowing green orb from outer space that spreads destruction throughout the galaxy. Only when encountered by its one true enemy, to whom it is inexplicably drawn, will goodness prevail throughout the universe. 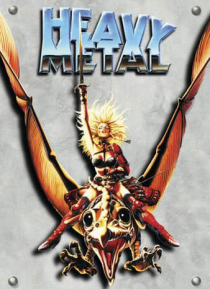 Highly imaginat… ive and full of surprising special effects, HEAVY METAL set the standard for the alternative contemporary animation. An intoxicating experience not to be missed!